Each year seems to be better than the last – 2011 was no exception. Please share these resources with anyone who may benefit. Lynn Stringfellow learned to read and write and is busy making posts on his new blog (inaugural post here). Lynn is the two-time winner of the westcoastwitness.com Inflammatory Commenter Award. 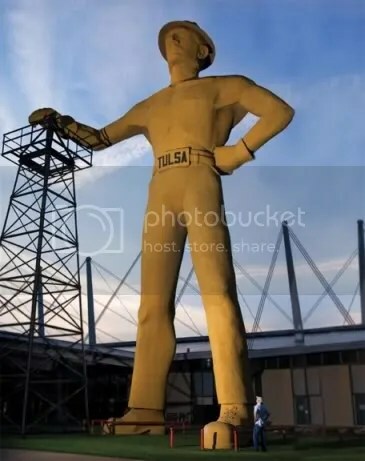 That being said, you’ll want to add tulsaoilman.wordpress.com to your favorites list. It’s bound to be interesting reading. Seriously though: the heart Lynn and Carol Stringfellow have for people – particularly college students – is nothing short of amazing. They’ve been an inspiration to Airiel and I for many years and will continue to be until the end of our days together. If you haven’t already heard, Lynn and Carol are in the process of raising money to cover expenses for their new ministry of nurturing nationwide campus ministry plants (learn more here). I strongly believe in what they’re planning to do, am committed to contributing financially to their work, and would like you to consider being so as well. It doesn’t matter if it’s as little as $10.00 per month – every little bit helps! We’ve put in dent in the fundraising goal, but still have about $82,000 we need to raise. It will come together as people own this mission, and more and more are as time passes! If you’re interested in being one of those people, email campusministryunited@gmail.com expressing interest and you’ll be contacted quickly. Click here to check out the news brief Bobby Ross Jr. posted for the Christian Chronicle regarding Lynn & Carol’s transition.